27 settlements in the southern Syrian provinces of al-Quneitra, al-Suwayda and Daraa have returned to the government control over the past week, a spokesman for the Russian Center for Reconciliation of the Opposing Parties in Syria said on July 3. He added that “special attention” is paid to efforts to create conditions to accommodate refugees returning from territories still controlled by militants as well as from other Syrian regions and neighboring countries. Units of the Russian Military Police have recently been spotted in Busra al-Sham and Musayrifa. 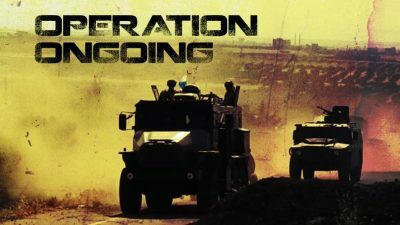 In late June, the Syrian Arab Army (SAA), the Tiger Forces and their allies launched a fully-fledged military operation to liberate southern Syria and to re-establish control of this part of the border with Jordan. Despite major gains made by pro-government forces, a notable part of militant groups in the area is still refusing to accept any kind of suggested reconciliation agreement. The main reason behind this situation is an influence of Hayat Tahrir al-Sham (formerly Jabhat al-Nusra, the Syrian branch of al-Qaeda) and some foreign powers supporting militant groups in the area. If militants continue refusing to surrender their weapons, they will face a next round of military pressure from the SAA and its allies. Separately, the SAA repelled an attack by Jaish al-Izza in the area of Tal Bazam in northern Hama. This group is one of the key allies of Hayat Tahrir al-Sham in the so-called Idlib de-escalation zone. An interesting fact is that the attack took place near a Turkish observation post at Morek. This post is intended to monitor the ceasefire in the area. However, the continued attacks by militants show gaps in the de-escalation agreement reached by Turkey, Iran and Russia in the so-called Astana format. The problem of this agreement that Turkish forces and their proxies are not hurrying up to combat Hayat Tahrir al-Sham and linked groups in their zone of responsibility in western Idlib. The US-backed Syrian Democratic Forces (SDF) captured over 11 settlements from ISIS near the Syrian-Iraqi border, east of the SDF-held town of Ash-Shaddaday. According to pro-Kurdish sources, the SDF, backed up by US-led coalition forces, is going to develop its advance along the border in order to clear the entire area on the eastern bank of the Euphrates from the terrorists. Nonetheless, it’s not clear how much time this will take. Meanwhile, rumors are circulating on alleged negotiations between the Damascus government and the SDF, which is de-facto dominated by Kurdish armed groups. The Kurdish YPG and its political wing, the PYD, is attempting to improve their complicated relations with the Syrian government amid the Turkish-US rapprochement over the situation in northern Syria. Ankara describes the YPG as a terrorist group. It has already carried out a successful anti-YPG operation in the Afrin area and is going to develop its efforts in this direction further.